On 26 April 2017, the European Commission published a proposal for a Directive on work-life balance for parents and carers. MHE positively welcomes the European Commission’s proposal for a Directive on Work-Life Balance for Parents and Carers as it is a proactive attempt to respond to current socio-economic challenges through a human rights-based approach, which includes the mental health of every worker as well as the rights of persons with psychosocial disabilities and carers. · Extend the definition of relatives to first- and second-degree relatives, spouses or partners and step- and foster children. Work-life balance: why does it matter to mental health? While often associated with gender equality in the labour market, work-life balance can also have a positive impact on all workers, regardless of gender. Over the years many studies have shown the necessity of changing work organisation and practices to accommodate the needs and rights of a diverse workforce which has been proven to have a positive impact on workers, employers and families. Studies show that work-life balance reduces mental health problems and is positively related to job and life satisfaction and negatively related to anxiety and depression. Conflicts in balancing work and life have been associated with higher levels of absenteeism and burnout. Studies have also shown that flexible working arrangements in favour of employees are directly related to a higher commitment from and lower stress for workers and, consequently, indirectly decrease the costs that companies and employers may incur due to work-life conflict. 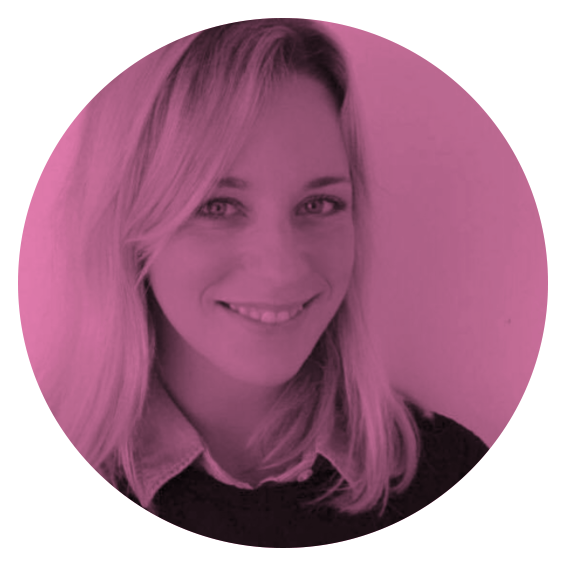 More recently, a Eurofound report suggested that while, in some cases, flexible working arrangements may result in additional costs for companies, they also enhance productivity. Besides promoting women’s representation in the labour market, parental and paternal leaves have long-lasting positive effects on fathers and their children. Research from the Organisation for Economic Co-operation and Development (OECD) shows that fathers who engage more with their children have a greater life satisfaction and better physical and mental health. Similarly, children who can benefit from their fathers’ leave and subsequent engagement have higher cognitive and emotional outcomes and physical health. Availability, accessibility and affordability of child and long-term care services are important in supporting work-life balance for parents and carers. Child and long-term care services must reflect and support the lives, needs and financial capabilities of all parents and carers, including for instance non-traditional family structures, people who work unpredictable hours and people from disadvantaged backgrounds. Investment in quality child and long-term care should be promoted, however evidence shows that child care cannot be the only solution to adequately and efficiently respond to the needs of the modern workforce and fulfil the rights of workers. Studies suggest that control and choice over working arrangements have a positive impact on workers’ health and job performance. It is therefore crucial to promote investment in services, while also ensuring that robust legislation is put into force to adequately regulate leaves and flexible working arrangements. Work-life balance: why does it matter to people with psychosocial disabilities? The UN Convention on the Rights of Persons with Disabilities (UN CRPD) uses the term “psychosocial disability” for persons who have “long-term mental impairments which, in interaction with various societal barriers, may hinder the full realisation of their rights.” The rights of persons with disabilities, including persons with psychosocial disabilities, are enshrined in and protected by this Convention, which has been ratified by the EU and 27 of its Member States. basis with others of all human rights and fundamental freedoms.” Reasonable accommodation measures are aimed at reducing or eliminating barriers for persons with disabilities, including persons with psychosocial disabilities, to be fully and meaningfully included in society by promoting equality and eliminating discrimination in all areas. Reasonable accommodation measures are also important for parents and carers of persons with disabilities, including persons with psychosocial disabilities. Parents and carers often play a key role in supporting people with psychosocial disabilities to live in the community, however their role is often not adequately acknowledged and supported by existing legislation and policies. Studies have found that, if not properly assisted, caring responsibilities can have a detrimental impact on people’s physical and mental health. Special Eurobarometer 378 found that many Europeans believe that governments can do more to support carers, including allowing them to work flexible hours or part-time and allow leave from work for care reasons. According to the World Health Organisation (WHO), mental health problems are leading causes of disability globally and in some high-income countries 40% of all disabilities can be attributed to mental health problems. Reasonable accommodation and work-life balance measures are therefore fundamental tools to both implement the rights of persons with psychosocial disabilities and their carers, as well as address current and future socio-economic challenges. European Commission’s proposal: what does it say? The draft includes many provisions that could potentially be beneficial for the mental health and well-being of workers and their dependants. It also provides some specific measures concerning parents with disabilities and parents or carers of persons with disabilities. The right to request flexible working arrangements for all working parents of children up to 12 and carers with dependent relatives. Flexible arrangements include: reduced working hours, flexible working hours and flexibility in terms of place of work (Article 9). MHE warmly welcomes the proposal for a Directive on work-life balance for parents and carers. As highlighted by the European Commission’s Study on the costs and benefits of possible EU measures to facilitate work-life balance for parents and care givers, existing legal and institutional leave framework fails to sufficiently address problems faced by parents and carers on a daily basis and does not provide adequate solutions for gender equality in the labour market. In this regard, the proposal clearly shows a concrete attempt from the European Commission to respond to the needs of parents and carers in the short-term, as well as proactively respond to the needs of modern societies in the long-term (namely aging population, gender and pension gap). Additionally, the proposal also provides for an opportunity to introduce better regulations to safeguard and promote better mental health for workers which, as illustrated above, have a range of positive impacts for all. 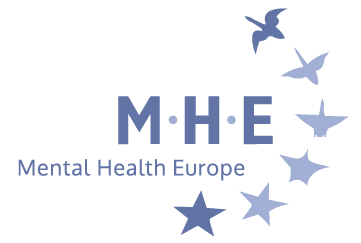 For these reasons, MHE would like to recommend amendments to the proposal to ensure that the final text of the Directive mainstreams mental health and reflects the needs and rights of persons with psychosocial disabilities. Maintaining positive and healthy expectations on return can have the benefit of keeping the employee feeling they are still part of the team and have not been abandoned. However, contact must not create any burden and distress for workers and their families or dependents, including creating unwanted expectations, pressure, work or work-related activities for workers while on leave or result in adverse treatment, discrimination or other consequences. The definition of relative should adequately reflect the composition of modern families and society at large, where respect for human dignity and equality, as well as freedom of movement and mobility of workers are essential characteristics. While some families may still feature the traditional family structure, others do not and failing to recognise this will amount to discrimination of families with a non-traditional structure. Similarly, limiting the definition to a few types of relatives will be problematic for those workers who have moved to another country or that have an extended family network. For these reasons, the definition of “relative” should be broader and include first- and second-degree relatives, spouses or partners and step- and foster children. The definition of dependency should recognise that mental health is equally as important as physical health and that dependency can also stem from mental ill-health. Member States shall assess the need for the conditions of access and detailed arrangements for the application of parental leave to be adapted to the needs of adoptive parents, parents having a disability and parents with children with a disability or long-term illness. Member States shall assess the need for the conditions of access and detailed arrangements for the application of parental leave to be adapted to the needs of adoptive parents, parents having a disability or mental health problems and parents with children with a disability or mental health problems or long-term illness. Access to parental leave and adaptations to specific needs should be recognised in cases of mental ill-health. Member States shall take the necessary measures to ensure that workers have the right to carers’ leave of at least five working days per year, per worker. Such right may be subject to appropriate substantiation of the medical condition of the worker’s relative. Member States shall take the necessary measures to ensure that workers have the right to carers’ leave of at least five working days per year, per worker. Such right may be subject to appropriate substantiation of the medical condition of the worker’s relative, including severe mental health problems or psychosocial disabilities. People with mental health problems and psychosocial disabilities may also be in need of care. This should be adequately reflected in the article so as not to create discrimination in the implementation of the right to carers’ leave. The notion of force majeure should be extended to mental health problems as this might lead to urgent reasons for taking time off from work, particularly in crisis or relapse situations. “Communication from the Commission to the European Parliament, the Council, the European Economic and Social Committee and the Committee of the Regions: An Initiative to Support Work-Life Balance for Working Parents and Carers,” (2016) available at http://eur-lex.europa.eu/legal-content/EN/TXT/?uri=COM%3A2017%3A252%3AFIN. Jarrod M. Haar, Marcello Russo, Albert Suñe, Ariane Ollier-Malaterre, “Outcomes of work–life balance on job satisfaction, life satisfaction and mental health: A study across seven cultures,” (2014). Stephen J. Goff, Michael K. Mount, Rosemary L. Jamison, “Employer supported child care, work/family conflict, and absenteeism: a field study” (1990) available at: http://onlinelibrary.wiley.com/doi/10.1111/j.1744-6570.1990.tb00683.x/epdf. Rebecca Brauchli, Georg F. Bauer, Oliver Hämmig, “Relationship Between Time-Based Work-Life Conflict and Burnout: a Cross-Sectional Study Among Employees in Four Large Swiss Enterprises” (2011) available at: http://econtent.hogrefe.com/doi/abs/10.1024/1421-0185/a000052?journalCode=sjp. Diane F. Halpern, “How time-flexible work policies can reduce stress, improve health, and save money” (2005) available at: http://onlinelibrary.wiley.com/doi/10.1002/smi.1049/epdf. Eurofound, “Work–life balance and flexible working arrangements in the European Union” (2017) available at: https://www.eurofound.europa.eu/publications/customised-report/2017/work-life-balance-and-flexible-working-arrangements-in-the-european-union. OECD’s Policy Brief, “Parental leave: Where are the fathers?,” (2016) available at: https://www.oecd.org/policy-briefs/parental-leave-where-are-the-fathers.pdf. For more information see COFACE Families Europe’s paper on Early Childhood Care and Education available at: http://www.coface-eu.org/wp-content/uploads/2017/02/2014-COFACE-position-ECCE-EN.pdf. Article 1 of the United Nations Convention on the Rights of Persons with Disabilities (UN CRPD), available at: http://www.ohchr.org/EN/HRBodies/CRPD/Pages/ConventionRightsPersonsWithDisabilities.aspx. For more information see the Caring for Carers Survey (C4C) available at: http://www.caringformentalhealth.org/. Article 3, paragraph C of the proposal.